Order your quality photoprint of "Dusky Dolphins Surfing Encounter Kaikoura New Zealand" now! Photo of a group of Dusky Dolphins tired out after surfing behind Encounter Kaikoura on the South Island of New Zealand. 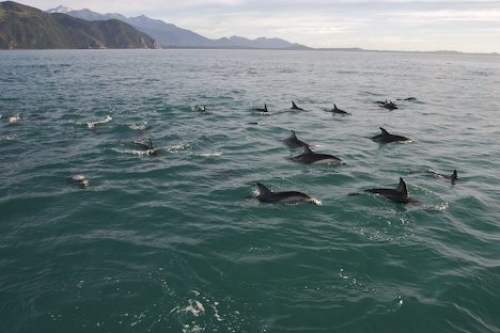 "Dusky Dolphins Surfing Encounter Kaikoura New Zealand" photoprint!